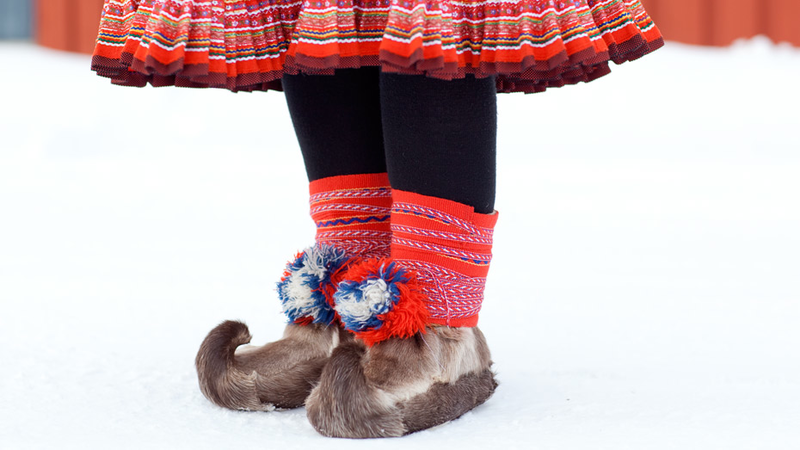 Skaller (English: “Sculls”), the Sami Gállohat or Nuvttohat, are traditional Sami winter shoes made of reindeer skins primarily used in dry snow and indoor. The soles are made of forehead skin from the reindeer’s skull, hence the name, while the uppers are made of skin from the forelegs and legs. 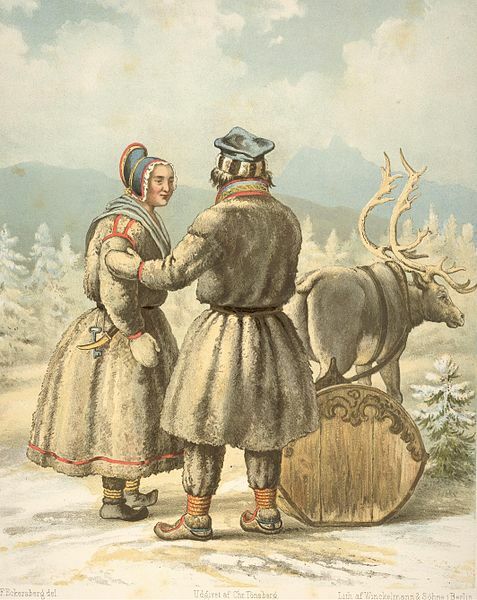 Skaller are traditionally sewn with thread made of reindeer sinews and filled with blister sedge to keep dry and warm. Today, Kartanka, felted slippers called Valenki in Russian, have replaced the insulating grass. Bellingskaller have soles with two leather pieces where the hairs are facing each other so that one does not slip so easily. Colorful woven ribbons are used together with Skaller. Men and women wear different patterns and colors. The ribbons vary depending on the place you come from and between everyday use and holidays. 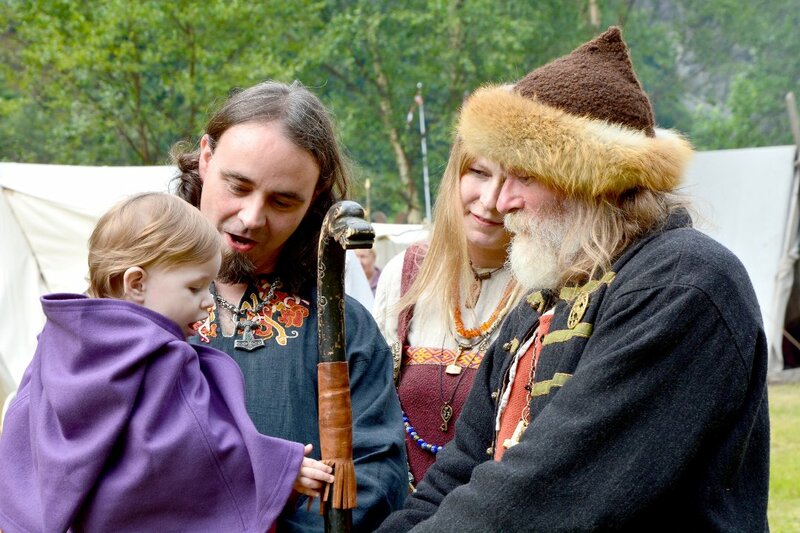 If you want to buy Sami clothes or other traditional items, you should visit the Sami Internet Warehouse. Thank you so much for the link to the Sami Internet warehouse!! !